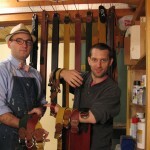 Our guitar straps have gone INTERNATIONAL!! 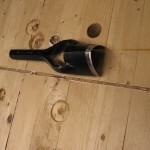 Just recently, they were reviewed by Guitar Wink, where he described their innovative function and the ease with which they can help the player to change the height of the instument effortlessly!! 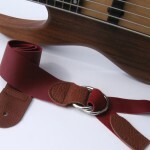 Just so you remember, these straps are featured TODAY on Etsy, so if you have a minute, we’d love it if you could go and heart our guitar straps, tell you friends, or order one. height of the instrument up AND down during a musical performance. Sometimes a certain section demands more technical work and we would like the instrument to be higher on the body while other times we like the instruments to rest lower and more relaxed. The guitar straps Wallpusher has designed function QUICKLY and EASILY to allow a player to raise or lower the instrument almost instantaneously. They’re so basic and easy to use!! So how do we make them? 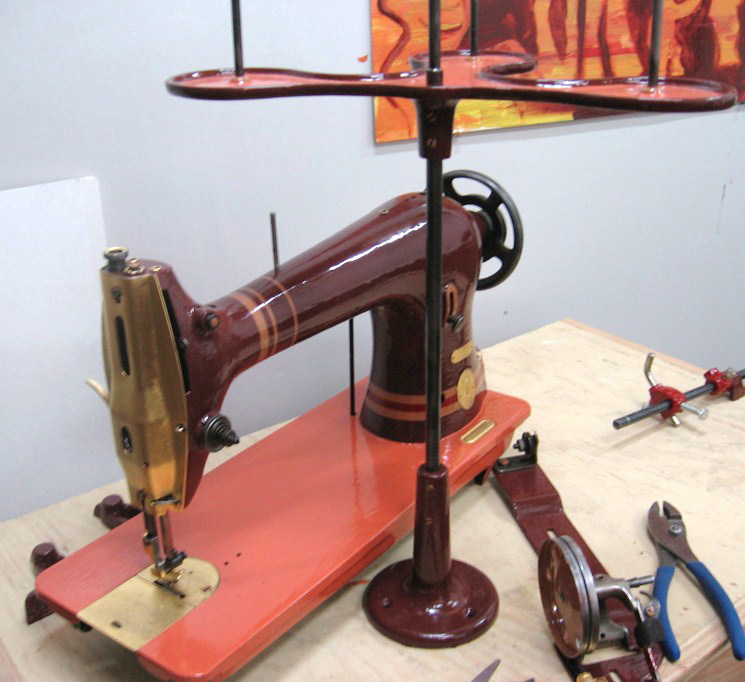 Depending on the type, we make sewn, riveted and chain mail models, the construction could take anywhere fr om 8 hours to 24. The sewn straps are made on our refurbished Singer 3115. 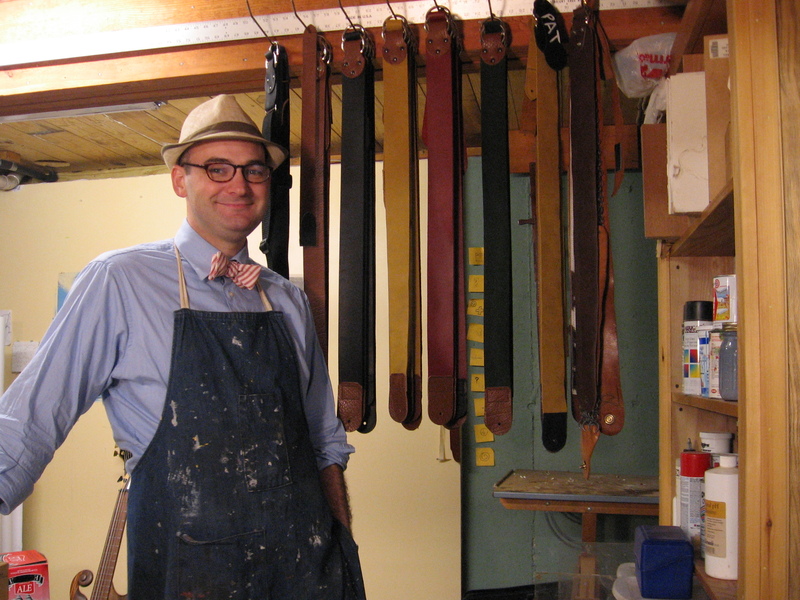 A leather sewer from the 1800s, we refinished it with gold leaf and tractor paint and now it is used by several interns and employees to create the straps. 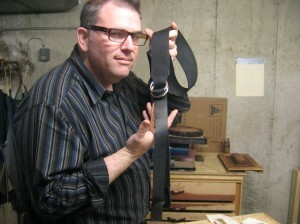 Of course the first step is to choose the leather, which is tricky because it has to be stretchy, but not so much that it’ll fall off the guitar, and tight, but soft enough to be comfortable. 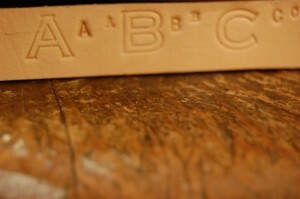 Once the leather is chosen at the local store, or reclaimed from recycled goods, it is cut with dies made custom out of cast iron to make the shapes necessary for the strap. 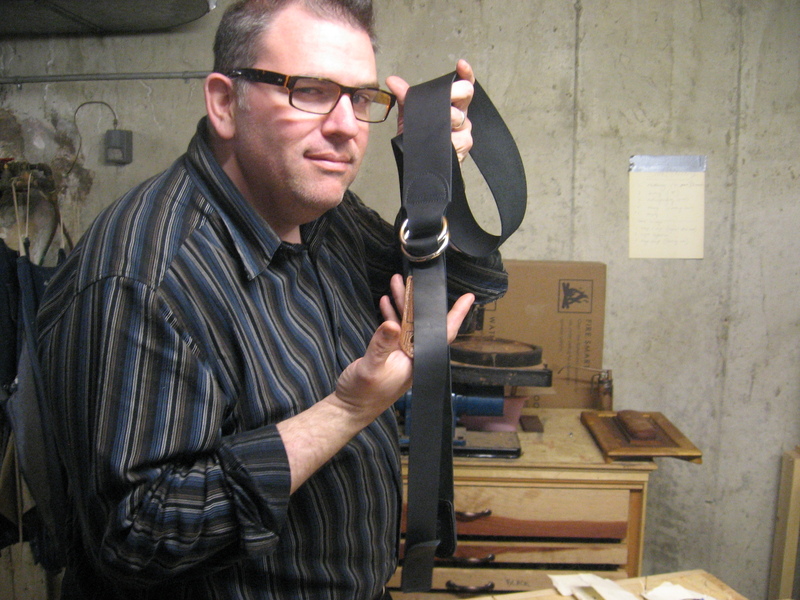 Determining the perfect functional components of the strap took years, but now that we have the size of the rings, the type of material, and other factors under our belts, we have to sew! 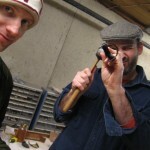 Rivets are best hammered together on an anvil, and the chainmail is made by hand from recycled metal. 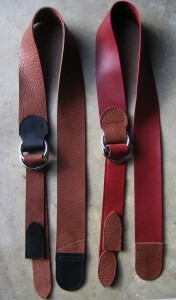 AMAZING SALE: 50% off our Guitar Straps!! Previously $80, the straps are now only $33 through March 14th! 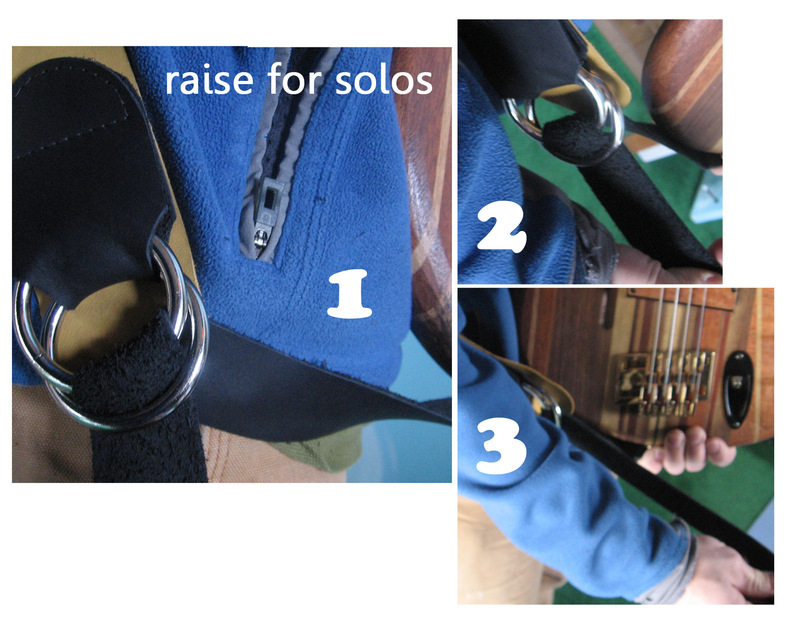 * Our guitar straps offer easy one-handed adjustments in seconds! 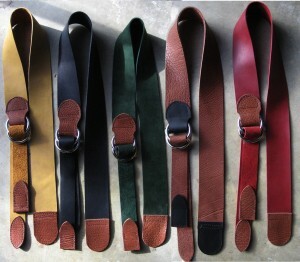 * Classic look comes in black, red, yellow, and green to suit your personal style. 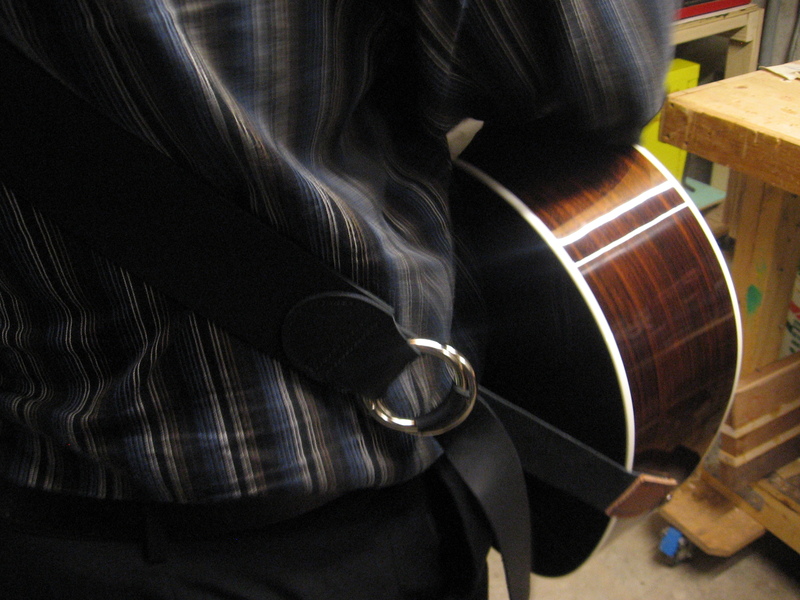 This guitar strap is so simple, so basic – yet so perfect. The price is perfect too. This guitar strap is like no other in that it is adjustable and can be altered during play. Musicians everywhere love the ability to effortlessly adjust the guitar or bass higher to solo and then drop down easily on stage. 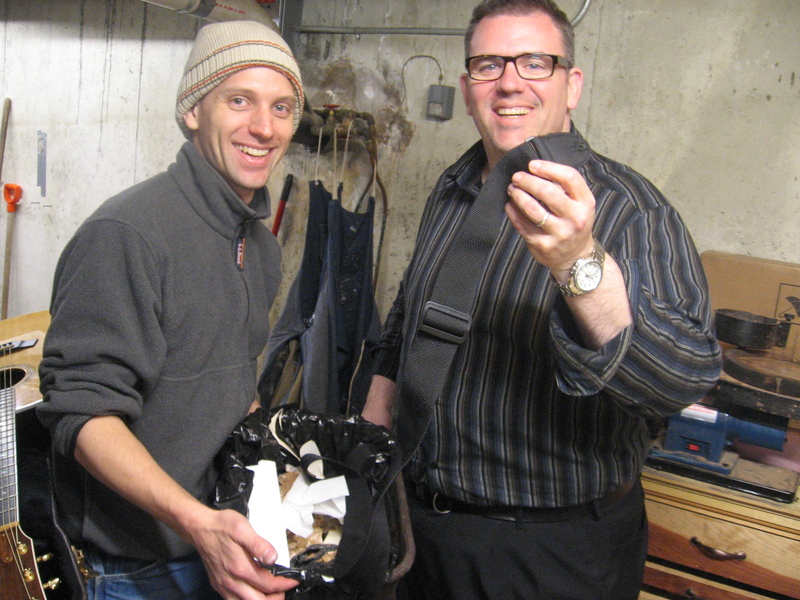 Light, beautiful, easy to clean, easy to store, not big and bulky. 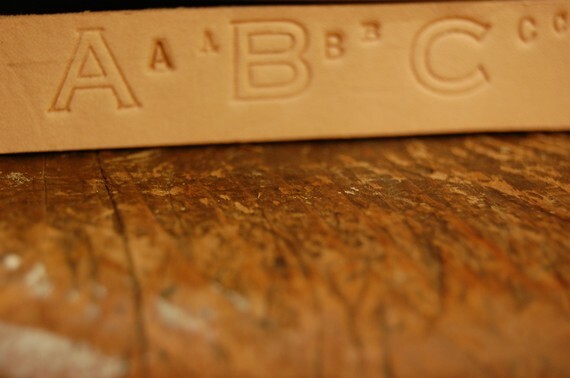 Sometime you just have to get back to the basics. Sometimes, it’s the simplest design that works the best. 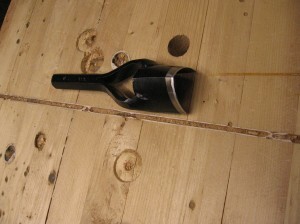 Sometimes, all those fancy, addition al features offered are just not worth it. 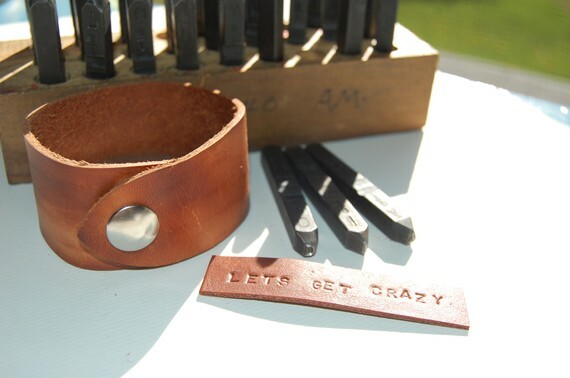 Each strap comes with a tag stating the number in the series, date of creation, and my signature. 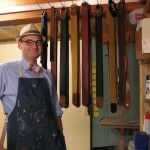 As always, being a handmade strap each one is unique, and the color and cut may vary slightly. 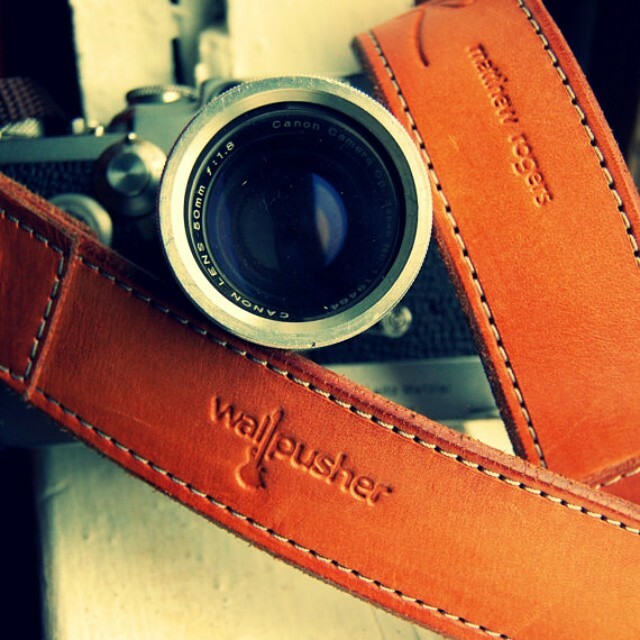 If you have any questions about how to make guitar straps, or would like to order one, please contact us at info@wallpusher.com or contact us via our Etsy Shop. 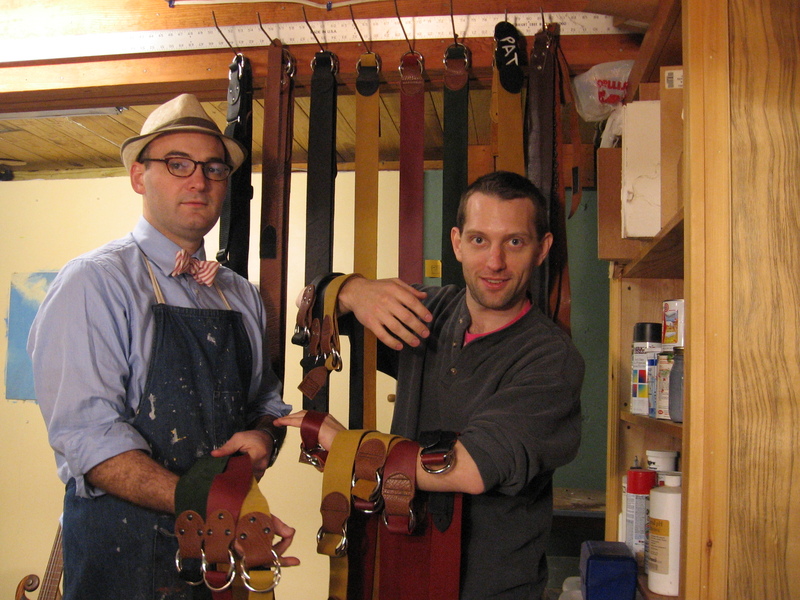 We’re happy to create custom or wholesale staps, just let us know what you’re interested in! Our guitar straps offer ONE handed adjustments in SECONDS. 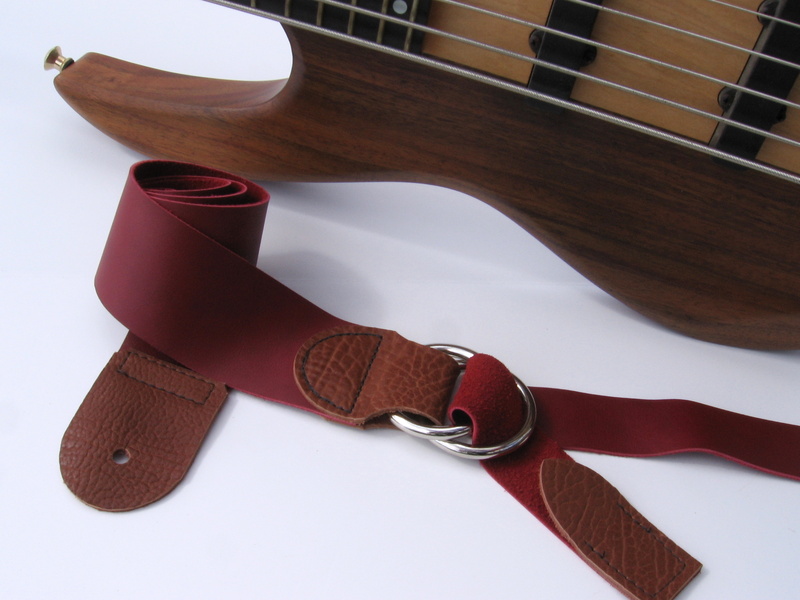 This guitar strap is so simple, so b asic – yet so perfect. The price is perfect too. NOW through March 14th these beauties are on sale for only $33.oo! 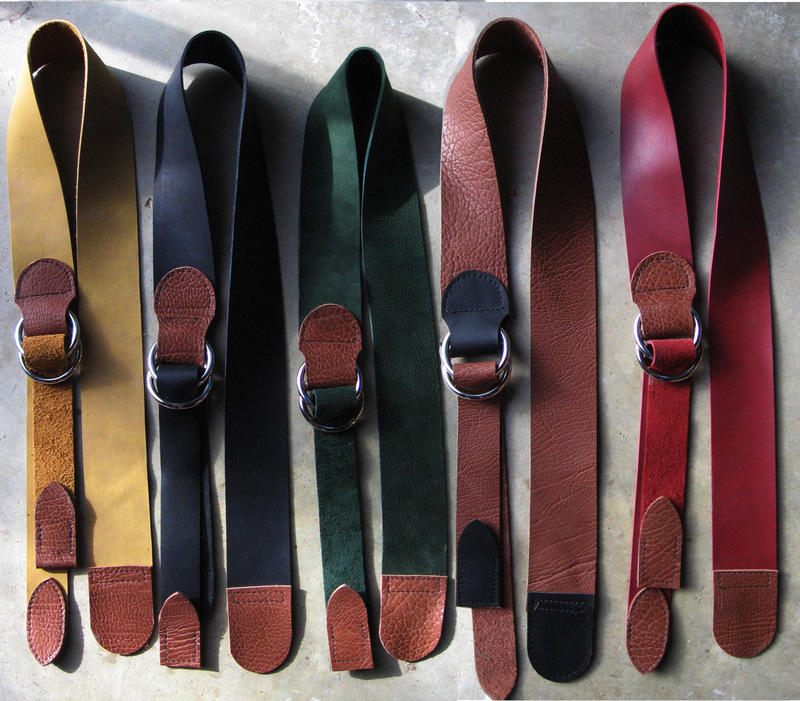 We have a limited number of these handmade leather straps in green, yellow, red, black and brown– find them on Etsy but hurry, they are going fast! 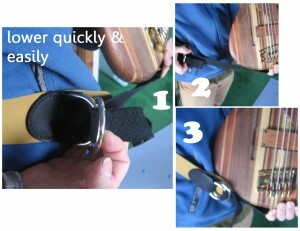 The guitar straps by Wallpusher have been designed to solve a single problem inherent in every other strap they’ve used: the ability to vary the height of the instrument up AND down during a musical performance. 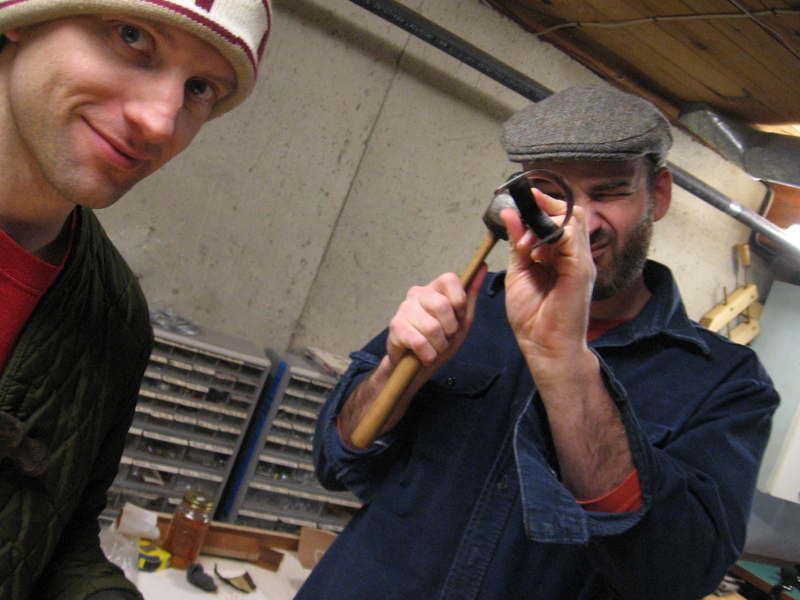 Sometimes a certain section demands more technical work and we would like the instrument to be higher on the body while other times we like the instruments to rest lower and more relaxed. The guitar straps Wallpusher has designed function QUICKLY and EASILY to allow a player to raise or lower the instrument almost instantaneously. As you can see, Wallpusher has developed this unique strap to work as a pulley system. 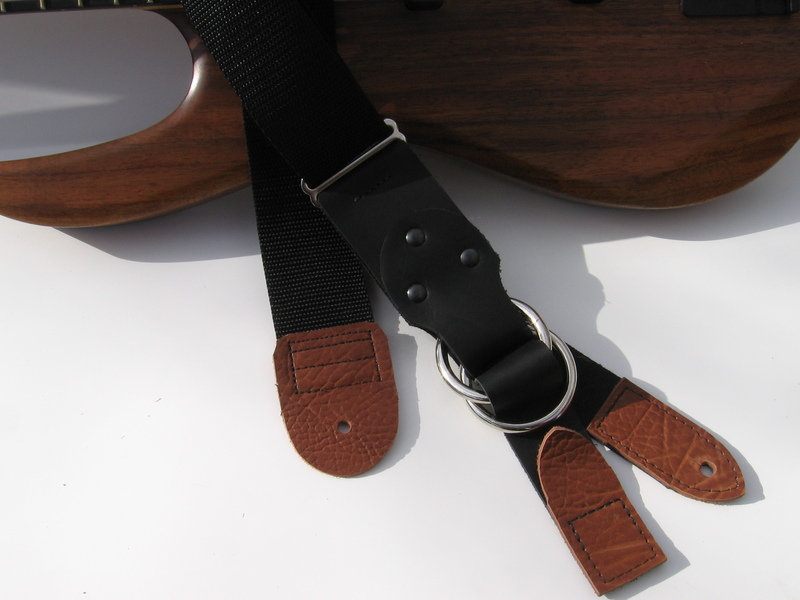 These straps are hand made, and cannot be duplicated because the type of leather that will grab or slip according to the player’s needs is carefully chosen by hand. 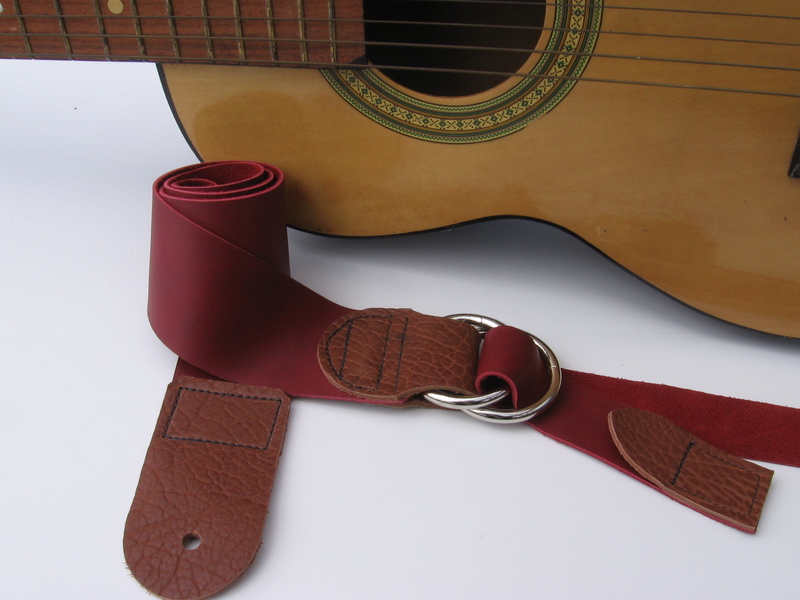 This guitar strap is so simple, so basic – yet so perfect. The price is perfect too. NOW through March 14th these beauties are on sale for only $33.oo! 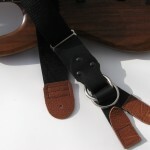 This guitar strap is like no other in that it is adjustable and can be altered during play. Musicians everywhere love the ability to effortlessly adjust the guitar or bass higher to solo and then drop down easily on stage. Light, beautiful, easy to clean, easy to store, not big and bulky. Sometime you just have to get back to the basics. Sometimes, it’s the simplest design that works the best. Sometimes, all those fancy, additional features offered are just not worth it. 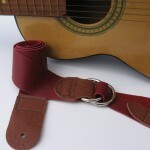 Please visit the guitar strap page for more views. If you’re interested in other products such as furniture, kitchen tools, and other solutions, visit our product page for more views. 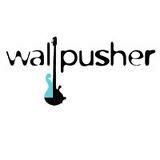 info@wallpusher.com and we’ll do anything we can to help.